Home page displays current articles (Current year News) and short description of it. However one can also filter articles of past year. 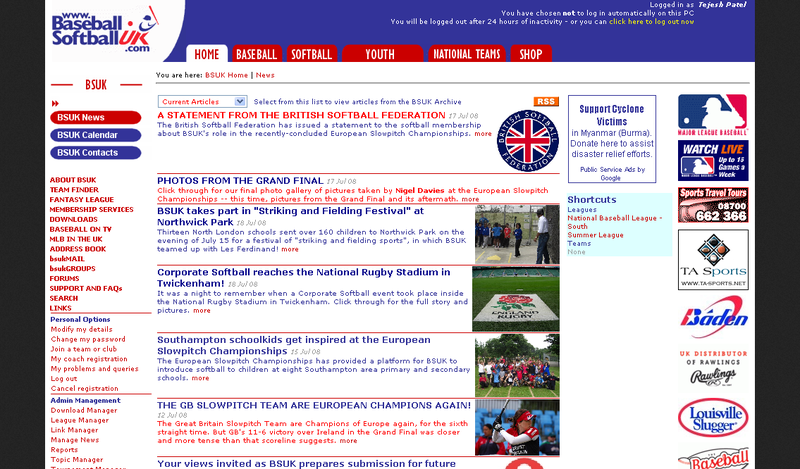 One can see detailed article by clicking on “More” button. 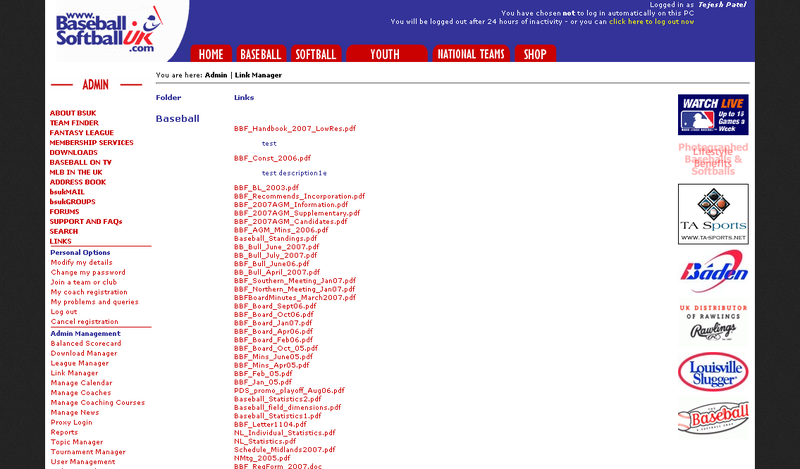 Administrator of “BasballSoftballofuk” can insert / edit news which normal user can only view. 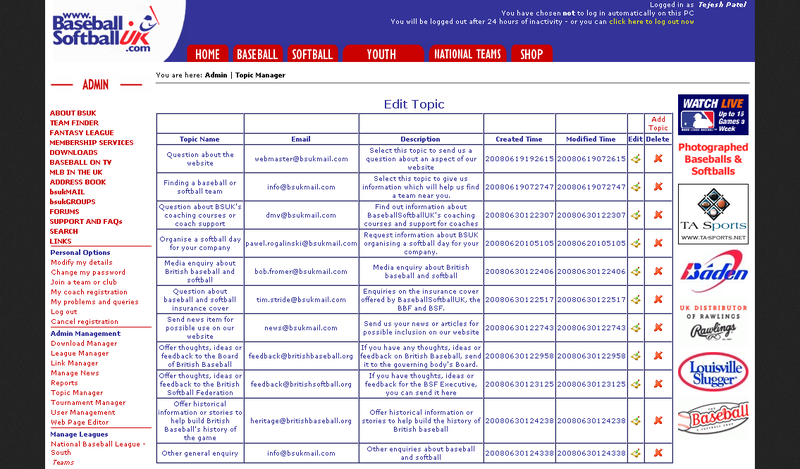 User control – BBTag control is used created the news content in HTML format. This page takes query as query string and depending on that query the search result will be generated dynamically and depending on the data type of the fields filter criteria will be populated. 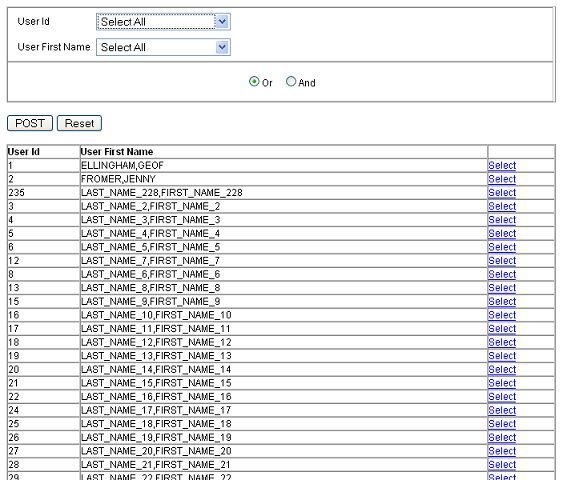 If no filtration is applied, grid will display all records. 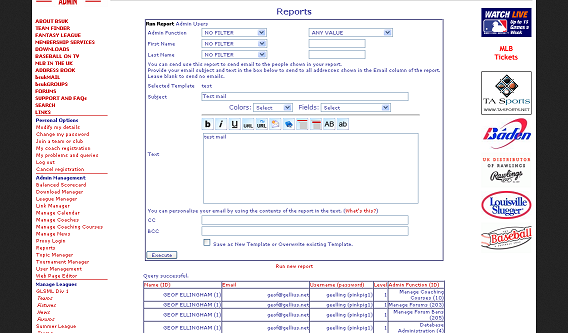 This page displays different type of reports. 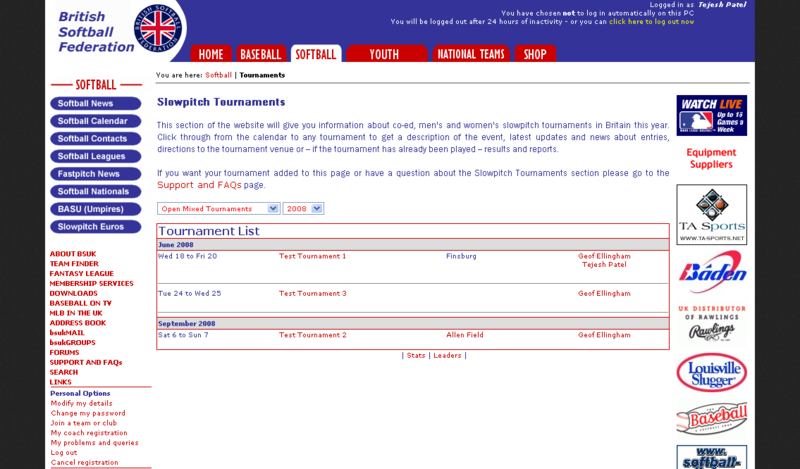 Page displays description of the event, last updates and news about entries. One can add, update and delete topics with the help of this page. 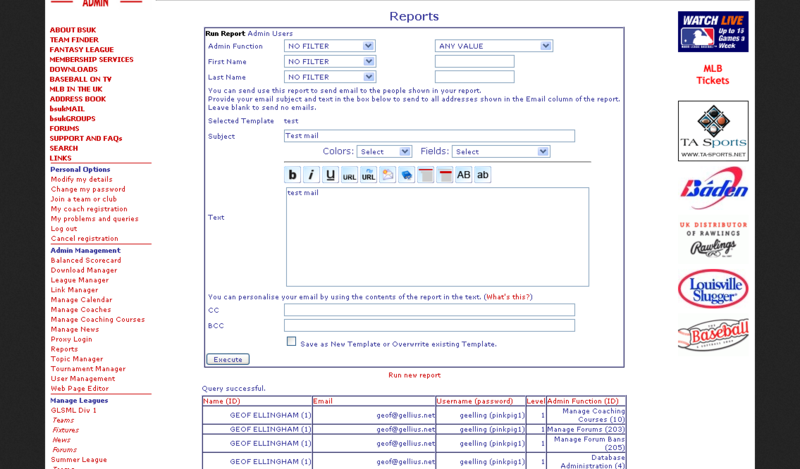 This page displays report category. Depending on the category selected, its template will be fetched automatically. If “select with filter” is clicked then previously saved template data will be loaded and if “Select” is clicked then filter options will be provided. 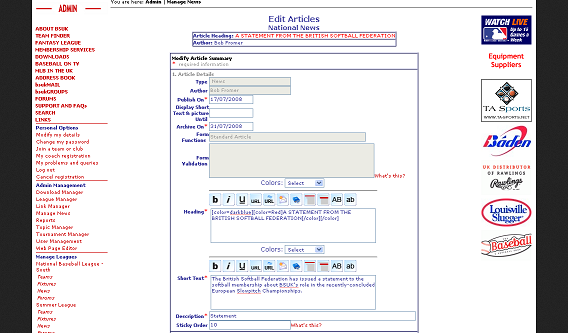 User has privilege to save current result of grid in the form of template. User can also overwrite old template with new result.